A home break-in has got to be one of the scariest things that can happen. Not only in regards to the lost valuables, but also that your own personal space has been violated. High security systems and alarms can’t prevent a home invasion, nor can the wait from a 911. 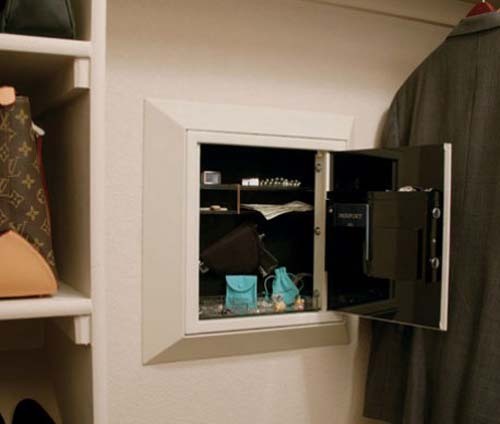 Maybe the only thing available to keep your dream home’s valuables safe might just be … a safe. DigitalSafe makes home safes with as much attention to aesthetic appeal, as security itself. The new line of wall safes from DigitalSafe features velvet-lined Mahoney trays and LED lights for the full James Bond effect. The ultra-luxury safe also comes equipped with a built-in burglary detector that actually locks down the safe if the safe is tampered with. This can occur if a thief is able to overcome the anchors and tries to make off with your valuables. The world of high-end safe fabricators is an extremely small one. Based in Colorado, DigitalSafe is clearly one of the top safe makers in the world. These high-quality, custom-finished safes from DigitalSafe are ultra-secure, yet cleverly conform to the aesthetics of fine furniture. Custom safes are not inexpensive, but for those with collectibles or other expensive valuables, price is often not a big concern. DigitalSafe manufactures its safe products by combining security, craftsmanship and creativity to design a safe specifically for you as a discerning collector of high-quality jewelry and timepieces. DigitalSafe carefully manufactures its safes to rigorous safety regulations. Each safe features an interior hinge system, bolting mechanisms, in addition to a James Bond–like electronic lock. The safes are available in eight standard sizes, ranging from the 15-inch-tall Silver Wall Safe to the 30-inch-tall Diamond Wall Safe. Prices for the line of DigitalSafe safes are surprisingly affordable, and range from just $1,000 to $2,000. All DigitalSafe safes are customizable. 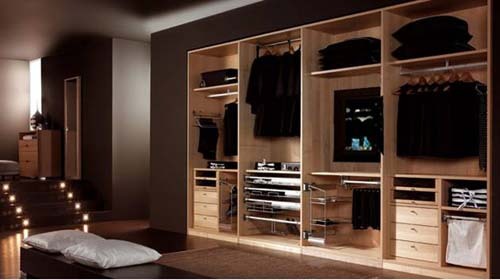 There are numerous options including: mahogany jewelry trays, almond or black color and limitless interior configurations options that include drop file compartments and hand gun holsters. As every safe is a bespoke creation, the structures become canvases for true works of art.